On 7th October 1850, in Lübeck, John William Harmston married Johanna Stange, daughter of Fredrich Bernhard and Dorothea Christina Friederica Stange (née Schmidt). John William and Johanna had two children, John William Bernhard (born 10th August 1851) and Alma (born 23rd March 1856). The family lived at Königstraße 888 (1851 census), Königstraße 857 (1857), at Mengstraße 45 (1862) and later at Holstenstraße 309 (1871). Some prints of his photographic work were commercially distributed by J. W. Kaibel in Lübeck. Examples can be found in the publication “Zwischen Biedermeier und Gründerzeit : Deutschland in frühen Photographien 1840-1890”, edited by Ulrich Pohlmann and Dietmar Siegert, Munich (Schirmer/Mosel) 2012. However, John William is primarily remembered as a composer. He succeeded in teaching himself composition and as a composer he wrote piano music, pieces for violin, cello and songs. He became an instrumental composer of considerable ability and industry. Many of his pieces enjoyed popularity with his most popular piece being opus 22, the “Song of the Bird”. He was a composer of an immense number of pianoforte pieces which were eagerly sought after by the publishers of North Germany and which were chiefly printed by foreign publishers. Altogether he produced about 240 works, mostly drawing-room pieces. 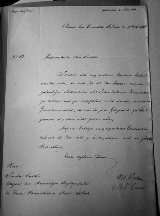 Letters in the Lübeck archive show that, on a least two occasions, John William had the honour of providing temporary management of the Vice Consulate of Her Britannic Majesty in Lübeck. John William Harmston died in Lübeck on 26th August 1881 and is buried in Burgtor-Friedhof cemetery in Lübeck, in plot numbered X 44/2.